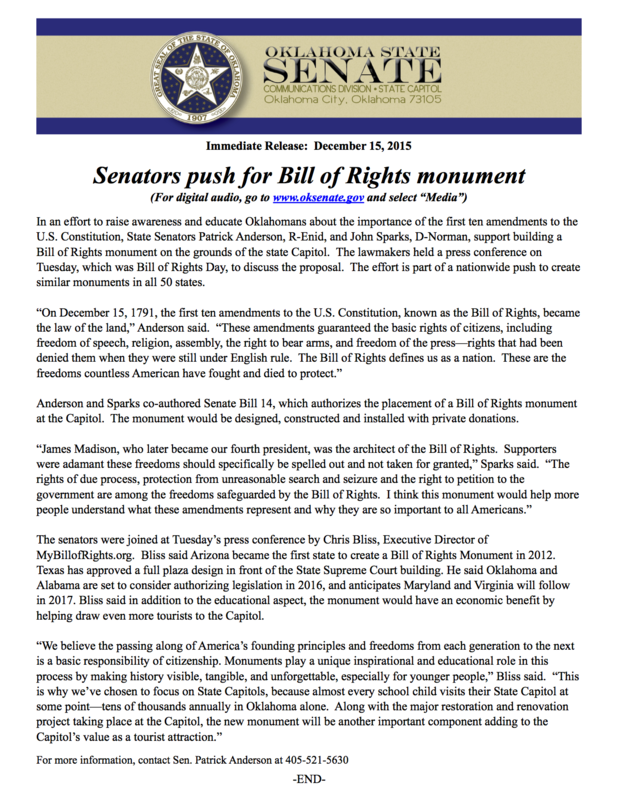 Coverage of the Bill of Rights Day news conference at the Oklahoma Capitol, where State Senators Patrick Anderson (R-Enid) and John Sparks (D-Norman) announced their bipartisan sponsorship for SB14, which authorizes a Bill of Rights Monument at the Capitol. 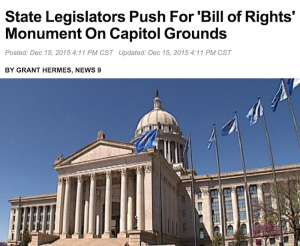 As a result of our outreach, State Senators Patrick Anderson (R-Enid) and John Sparks (D-Norman) announced they will co-sponsor SB14, a resolution authorizing a privately funded monument of the Bill of Rights at the Oklahoma Capitol, which they will introduce at the beginning of the 2016 legislative session. 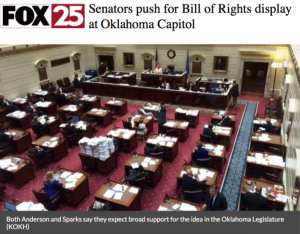 The announcement and followup news conference with both Senators and MyBillofRights.org Executive Director Chris Bliss generated substantial press coverage around the state, and marked an excellent kickoff to this new effort. Scroll over the image below to download a PDF of the press release.